PHIL COOKE is on a mission to Engage, Influence and Transform Hollywood and the world through his works and with the spirit of resiliency. Phil Cooke Pictures promote positivity and his team projects and clients are concerned with proactive, enlightening and optimistic messaging in cutting-edge fashion. Phil is amazingly creative and teaches us how to overcome crisis, how to regroup and preserve our ideas throughout the process of bringing our visions to life with tips that encourage us to believe in ourselves. During our interview on The Christina Silva Show, http://www.LATalkRadio.com/content/Christina-Silva-Show, Phil shares his childhood memories and admiration for his father who served valiantly in the United States Marine Corps in World War II and was born in North Carolina. Phil graduated from Oral Roberts University and worked with some of the greatest talents in Hollywood. Reaching 52 countries with “feel good” content is important to Phil who enjoys snow skiing and deep sea diving. Phil takes pride in creating projects The Salvation Army births which change lives. Powerful and moving videos critical stories and life changing circumstances that address serious issues such as Human Trafficking and Homelessness. Phil enjoys “Doing the Most Good” through http://www.SAVN.tv productions and serving primarily non profit charity clients such as http://www.TheSalvationArmy.org. Phil believes too that trust in God and service is key to a successful and long lasting career in the entertainment industry. 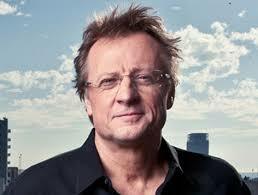 Phil shared that his mentors helped shape his career and that Mrs. Phil Cooke is his best supporter and critic. Each one of us is creative and can follow “what we are good at” while we encourage one another versus being critics and hold the ladder up for others who aspire to become who they know and feel they are. Within the social media and digital boom, we are in an age where we shall be aware and knowledgeable about current events and Phil shares his books, speeches, life experience and laters projects with us without prejudice. 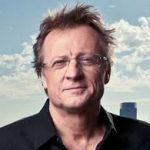 Tune in to the broadcast that will show you how to brand yourself and how to get a job with easy communication and stay in touch with Phil Cooke by visiting http://www.PhilCooke.com and http://www.Twitter.com/PhilCooke to #BEESAFE.